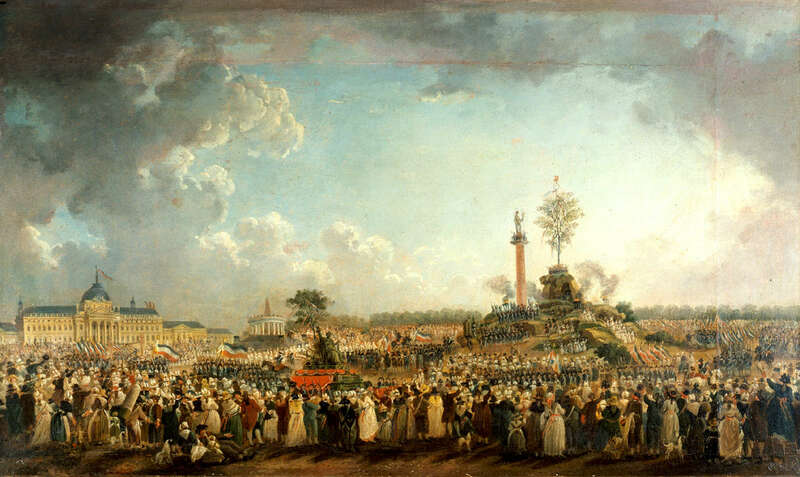 With all of the widespread resentment of the rich and powerful in France during the revolution, it was only natural to attack the Church for the same power. Nearly all of the people in France were Catholics who gave their 10% tithe to the church, but the Church remained exempt from paying taxes. The people felt as if the church wasn’t giving back as much as it received, even though they ran both the education system in France and the outreach to the poor in the country. The leaders wanted to help pay off the debt by taking the land that the church owned and selling it for profit, and since the church was the largest single landowner in France, that would amount to a great deal of money. that, instead of being appointed by the Pope or other church officials, the church positions would be filled based on elections from that moment on. This decision would cause the clergy to walk out of the National Assembly in disgust. In the coming years, only around a quarter would actually swear the oath to France, and so a great deal of Catholic clergymen would be put to death. When the Pope officially denounced the Constitution, the people of France would turn on the clergy in even more remarkable ways. Mobs would start to roam the streets and murder any priests they could find. This would all lead to the official policy of De-Christianization in the next year, when all religious orders were dissolved. Over time the leaders of France would try to completely rid France of religion in general. During this anti religious time, religious holidays were banned and then renamed, all religious signs were removed, and Nuns and Monks were encouraged to return to the lives of normal citizens instead of the clergy. This was an amazingly radical move for the time period, and many scholars think it was inspired by enlightenment thinkers, although the case can be made that they never spoke of anything close to these radical actions. The reaction to this de-Christianization was different depending on where one lived. In some areas, like the Vendée region, there would be revolts against this de-Christianization. These revolts were dealt with in the harshest fashion, and would make this area a trouble spot for years to come. Others, however, took this new found freedom to create anti-religious cults that often resembled religion in nearly every way. The most famous of these cults were the Cult of Reason & the Cult of the Supreme Being, both of which would take very Christian-like cultural attributes in their beliefs.